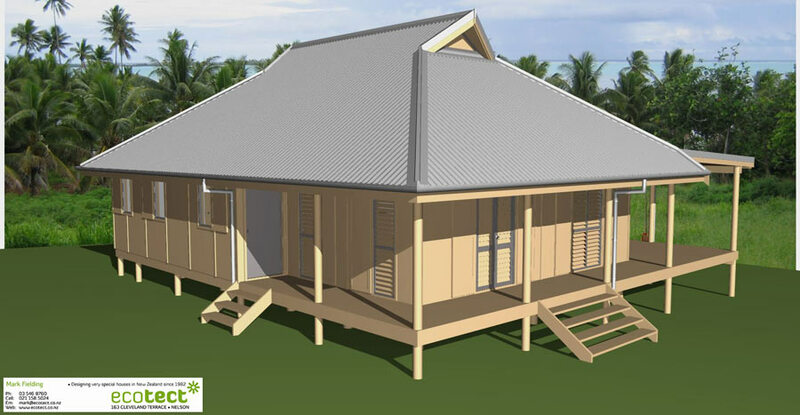 Designed as a holiday home on a coastal site in the Cook Islands, this little bach provides all the comforts of home in the tropics in a sweet architectural package designed to emulate the Pacific 'Beach Fale' style. A single large bedroom opens through louver doors to the spacious Living/Dining Room allowing ventilation and views to the beach. A guest bedroom resides in the Loft space and has a fun way of accessing (if you're fit) via a ladder - with fireman's pole to descend! 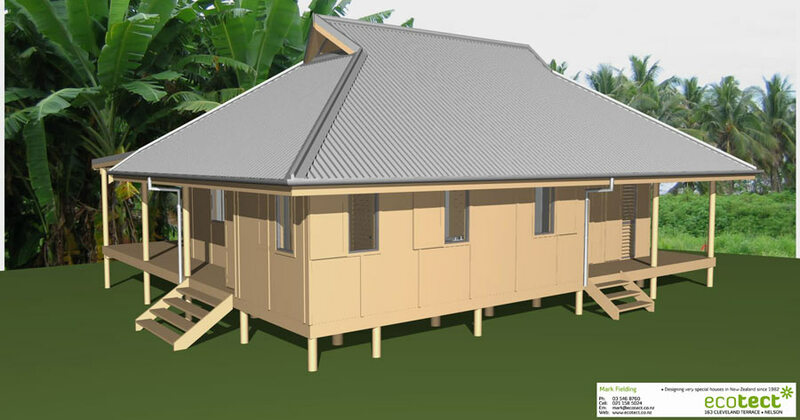 All the external doors and windows are fitted with external panel shutters to protect from cyclones and for added security while living away for extended periods. 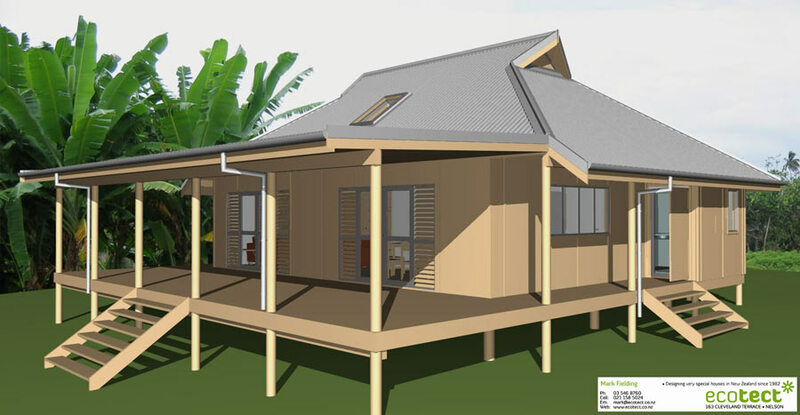 This home is designed specifically for warm tropical weather; being raised above the ground allows cooling air to circulate and dry out building structure. 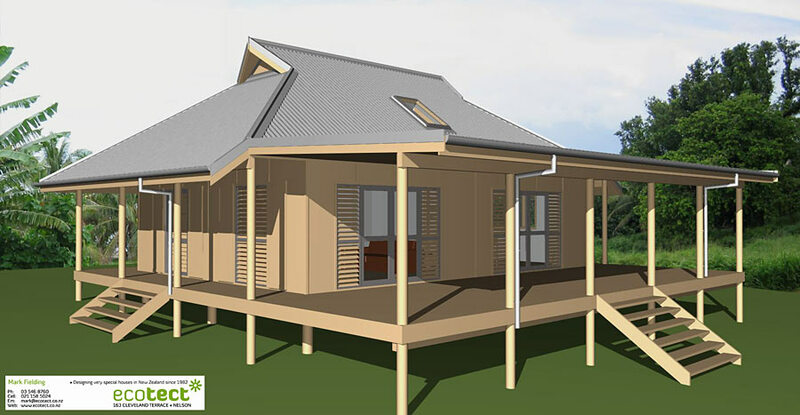 The internal space, surrounded almost entirely with wide shady verandas, features vaulted ceilings and gable end roof vents allowing natural cooling convection. - Air entering through louvered windows and doors rises as it heats to exit through the roof vents in turn drawing more cooling air currents through the building. The whole building, in materials and components has been designed to fit into two 40' shipping containers, allowing delivery to site of everything you need to complete the home. The Drawing set includes all structural details on A3 paper.